Should You insure your mobile phone? Losing a mobile phone, can be a heart wrenching incident. It is at times like this you wish you had mobile phone insurance; as having this insurance is not a necessity, often individuals tend to overlook the need to possess one. Losing a mobile phone, which is an integral part of our day-today-life, can be a heart wrenching incident. In certain cases, the anguish is extreme when the high end phone you had purchased was hardly a month old and you will end up paying EMIs for a phone which you no longer possess. It is at times like this you wish you had mobile phone insurance, which the sales person had recommended at the time of buying that phone. Given that having this insurance is not a necessity, often individuals tend to overlook the need to possess one. Mobile phone insurance just like any other insurance product provides risk cover. In this case, it covers risk arising from incidents such as loss of phone, theft, damage among many others. This insurance can be bought at the time of buying the gadget or maximum with a five day delay from the day of billing. The premium here depends on the worth of the mobile purchased. The cover period is typically for one year but there are a few players who offer a two year cover period. Most of the insurance companies provide mobile/gadget insurance via third party service providers. Bajaj Allianz, National Insurance Company, Oriental Insurance Company and New India Assurance Company are some of the prominent names offering this service. Among third parties, one can approach SyskaGadgets, Biscoot, Gadgetcops, InfyShield, WarrantyBazaar, AppsDaily and Onsite. One thing to note before opting for service from any player is to check their terms and conditions and other fine print related to the insurance provided. No two companies may have the same set of coverage and exclusions. That's why it better to be careful before spending that extra cash. The claims process is more or less similar for all the players in the market. Ideally, one should intimate the insurer about the loss/theft or damage of the phone as immediately as possible. While making the claim, one needs to submit the original purchase invoice and the serial number of the phone along with the claim form. In case of theft, the claimant should provide a document stating that SIM card has been blocked and a First Information Report (FIR) stating that the phone has been stolen. In case of damage, apart from explaining the reason for the damage, it is most likely that the company will guide you to nearest authorized service centre and request you to obtain expense estimate towards damage. All the required documents along with the claim form should reach the insurer within 15 days from the day of intimation. This time frame may vary according to the insurer chosen. Most often consumers are of the view that having an extended warranty can replace the need to go for insurance. According to Vivek Gohlan, Director of Warranty Asia, "An extended warranty means whatever the manufacturer is providing in the first year is extended into the second year. It covers only the mechanical and electrical faults in the device." If the speaker is not working or if there is a software issue, then an extended warranty comes in handy, he adds. But the main concern for customers these days is regarding screen damage, theft and the likes which is not a part of extended warranty, so that's when insurance comes in handy. 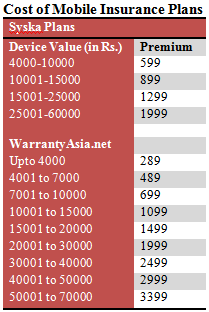 Addressing this very concern there are some players in the market which offer extended warranty and several other additional features. One such player is Infysheild which not only provides extended warranty but also packs in total Protection against unexpected costs of repair and hassle free replacement of product if the product cannot be repaired. R.K.Goel, Founder and CEO of Infinity Assurance notes that consumers are willing to buy insurance for gadgets these days, which was not the case before. Gohlan too has similar observation and notes that users are willing to opt for mobile insurance for devices which cost as low as Rs 6000. According to Goel, the genesis of this trend started due to the high repair cost of display, which sometimes happens to be as high as 50% of the cost of device. Some of the manufacturers these days tie- up with an insurance company directly and as a result almost all the handsets of that particular company comes with insurance as a bundled product. Also, electronic retail stores offer mobile insurance with devices above a certain threshold value. With emergence of the culture of buying high end gadgets no longer limited to a certain class of people, the need for insurance too has grown over the years. Offlate, certain brands are exclusively available on the online platform. Insurance for such devices should be bought within seven days of purchase. 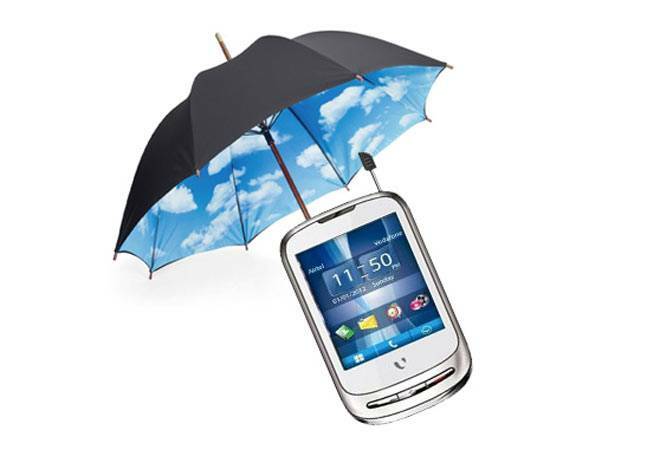 Having a mobile insurance is a good option when buying high end products. However, one has to be mindful that if the loss is due to personal negligence then no insurance will be helpful. Also, be very careful of the words used in FIR. It has been noted that if the FIR states that the device is missing or misplaced, then the claim has been found to be rejected as insurance companies classify such cases under 'mysterious disappearances'. Therefore it becomes imperative to file a theft compliant. The point to note is on compensation front. Often individuals assume that if the device is ensured, at the time of claim one would receive the complete amount of the device. However, in reality, depreciation comes into effect while settling claims. Depreciation charged ranges from 20-50% depending on the time elapsed. If the device is up to 3 months old then depreciation is charged at 20%, 3 to 6 months at 30% and 6 to 12 months at 50%. As a result, it will be foolhardy to think that having insurance will help recover the device cost. In case of damage, it's better to be truthful with regards to the nature of trouble faced. There have been several instances were claimants were found to be lying of the true nature of damage. Insurers therefore have their in-house personnel who are capable of checking the veracity of the claim, to keep fraud claims at bay.